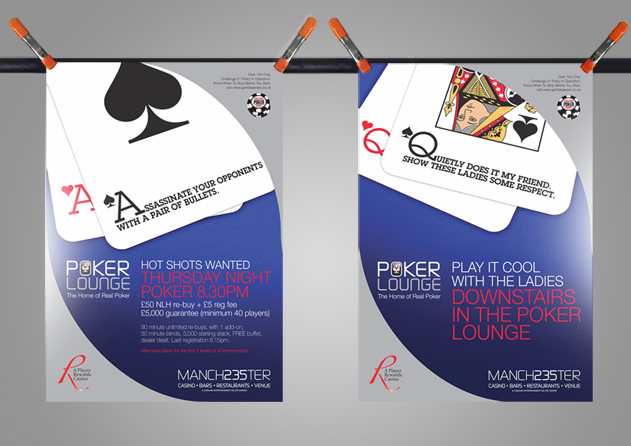 This clever campaign for Manchester 235’s Poker Lounge makes shows a knowledge of Poker, using table terminology to produce executions that speak directly to Poker lovers. 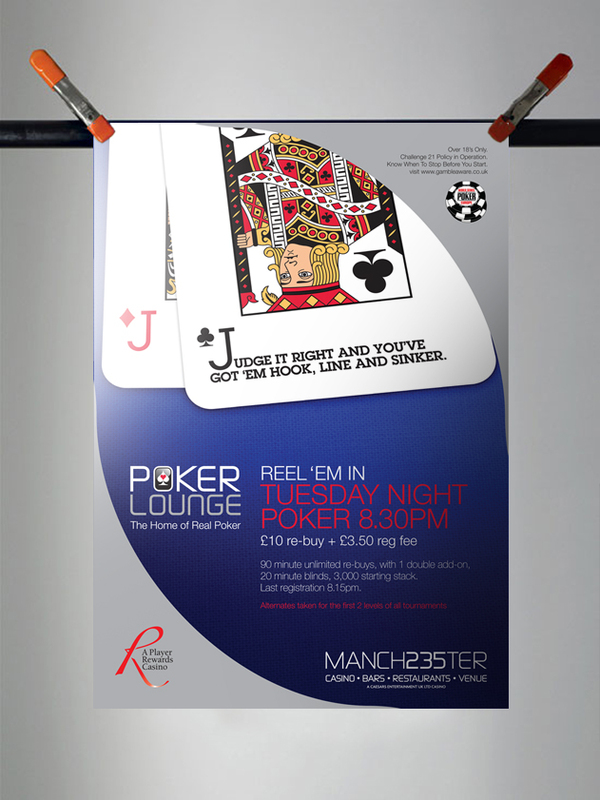 We thoroughly researched the game in order to create a campaign that didn’t pretend to know about Poker but instead was based on a real knowledge and understanding of the game. Check them out.